Opening a copy of Wine Spectator is so satisfying. If you are a Spectator fan, you know what we mean; the magazine is so big and important. It’s even more satisfying when there is a pin-up shot of your favorite Gusti Foods inside! 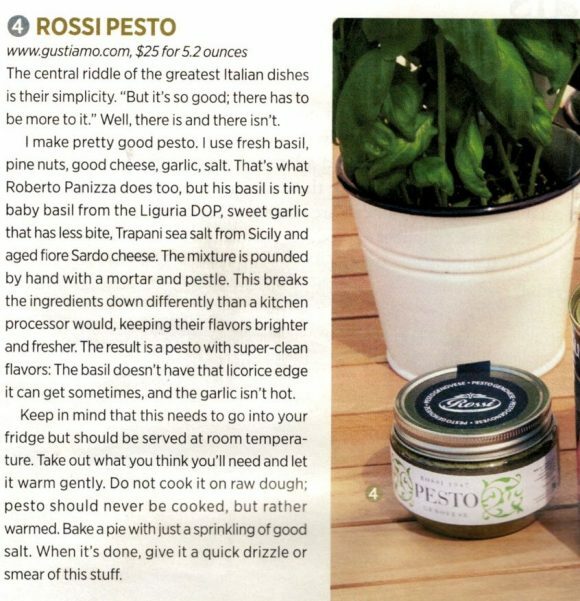 Wine Spectator just came out with an article called “Pizza Party Essentials” and they look to gustiamo.com for their essential pizza ingredients. Here is a link to all the Gustiamo ingredients that are perfect for home pizza making. Previous Post Are those real San Marzano tomatoes?